When I first came to Russia, I thought that my manners were good enough for getting through life in this country. But when I sat down in my car to give a female Russian friend a lift and almost drove off, I understood that I was wrong about my manners when I saw that the lady in question was still standing outside the car, next to the door on the passenger side, waiting for me to open that door. A week later, when back in Holland, I decided to put my newfound manners into practice and walked to the passenger door of the car to help a Dutch female colleague into the car. The Dutch girl’s conclusion, however, was that I wanted her to drive and she walked to the other side of the car and sat down behind the steering wheel, while I stood like a fool next to the open passenger door. After that it didn’t take me long to understand that etiquette between women and men in Russia differs from that in Europe. After I had learned to open all doors for any lady, help any female acquaintance with her coat and to say the third toast in a lady’s honor, while standing up and downing the glass of vodka bottoms up, I came to assume that women were put on a pedestal in Russia. To a certain extent this is true, especially, when you watch men give women flowers on the 8th of March and on their birthdays and how they lift their heavy bags into the overhead compartments in the plane. But when I had one of my first business meetings, over sixteen years ago with a western business woman, at the negotiation table, I quickly understood that my assumption was wrong. Walking into the room the first awkward moment was when the Russian business men readily shook my hand, but did not make any attempt to shake the lady’s hand. The second awkward moment was when, in spite of the fact that the business woman in question far outranked me in experience and position, the Russian continued to address and treat me as their main discussion partner. In spite of the chivalry that Russian men display, they do not take women in the business arena as serious as they take men. Of course, there are successful women in Russia, but their acceptance by men is not a given. When I advise foreign business women who are about to do business in Russia, I tell them to make their position, mandate and authority clear from the very beginning. If a foreign woman is leading a delegation that engages in negotiations with a group of Russian business people, then everyone in that foreign delegation should be aware that the female senior manager is positioned and presented as such. Once the authority of the female executive is established and when she has shown that she actually knows what she is talking about, then Russian men will accept her without a problem. The emancipation of women in Russia still remains a long journey. A Russian woman can work, but she must also take care of the family; whereas, for men, it is enough to just work. And in the opinion of Russian men and women alike, irrespective of her success in business, if she is close to thirty and still unmarried and without kids, then there is obviously something wrong with her. Strangely enough, in my experience, women are actually the cornerstone of the Russian society; whereas, in the West, it is the family. Women take care of everything, the household, the kids and their husbands. In addition to that, Russia has one of the highest percentages of women with an academic degree in the world. Russian women often have stronger personalities than Russian men: most of my colleagues are women and they work harder, are more loyal and are more conscientious than men. During the four-day working week that the working mothers in my company have, they get more work done than most other employees in five days. But in spite of their qualities, women get paid substantially less than men and occupy relatively few top positions in business and politics. Russian women bear part of the blame for that not emancipated treatment: they willingly partake in this particular social contract between men and women, which goes – “you open the door for me and I will know my place at work and in politics”. 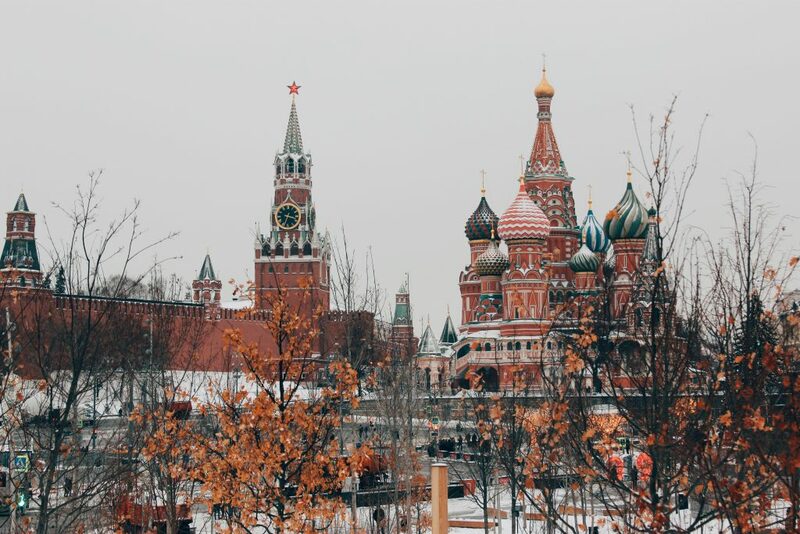 This social pact will still last for some years, but with the post-Soviet generation of women, born in the nineties and soon to reach adulthood and independence, a silent revolution may take place that will unsettle the comfortable and lazy place that Russian men have had up to now. Who knows, maybe the Russian spring that some people expect will be caused by Russian women claiming their rightful place within the Russian society.